St. Valery-en-Caux is a small seaside town and holiday resort 32 kilometres west of Dieppe and 60 kilometres north-west of Rouen. The Franco-British Cemetery lies on the south eastern outskirts of the town about 200 metres from the church and adjoins the civil cemetery. 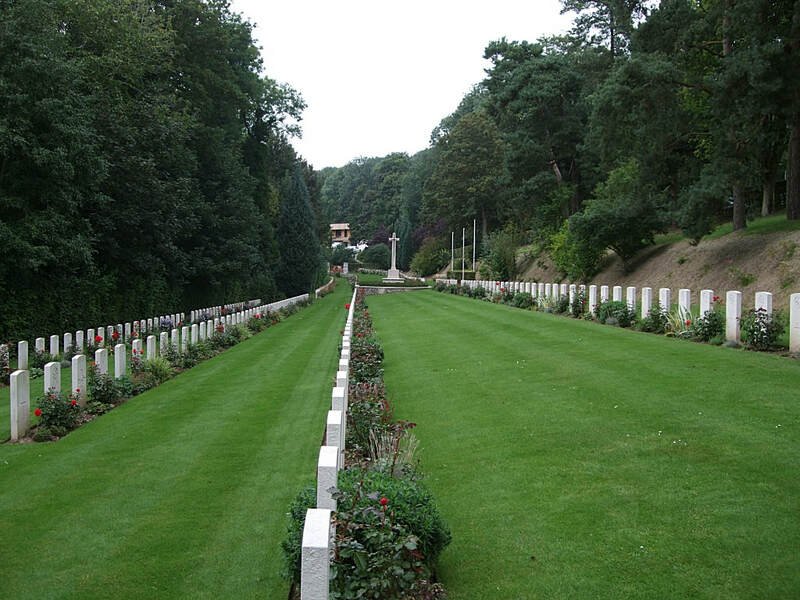 Follow St. Valery town centre, and the first CWGC sign is on the right of the main road. During the Second World War, the town of St. Valery was three-quarters destroyed and was under German occupation from the middle of June 1940 until liberated in 1944. In June 1940 it was at the centre of important battles when Commonwealth troops, notably the 51st (Highland) Division, made their last stand fighting alongside the 2nd French Cavalry Division. After an evacuation by sea proved to be impossible, Major General Fortune, the 51st (Highland) Division's commanding officer, surrendered the town to the German commander, General Rommel on the 12th June, following the capitulation of the local French forces. As a result, most of the 51st (Highland) Division ended up being taken prisoner. After the war, the French Government bestowed the Croix de Guerre on the town, and the order conferring the honour contained the words, "St. Valery . . . made illustrious by the heroic resistance of the 51st Scottish Division". Facing each other on the cliffs that flank the town are, to the east the 51st (Highland) Division Memorial, and to the west the memorial to the French Cavalry, which were unveiled simultaneously. In the cemetery is a memorial to the 51st (Highland) Division erected by the local civil authorities, and a granite St. Andrew's shield given, by the Marchioness of Huntley, is set into the base of the Cross of Sacrifice. The cemetery gates were the gift of the people of north and north-east Scotland. The cemetery contains 234 Commonwealth burials of the Second World War, 63 of them unidentified. 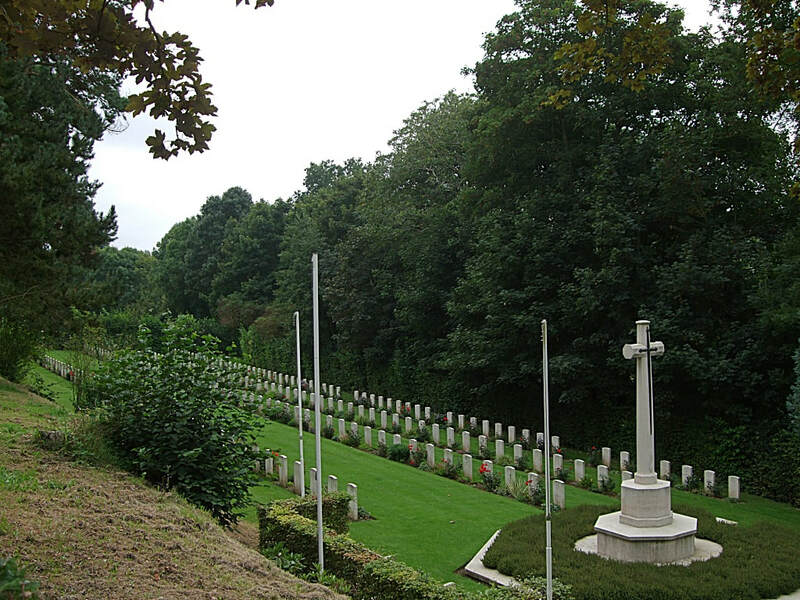 There are also 218 French war graves.